NEWPORT BEACH, CA—R.D. 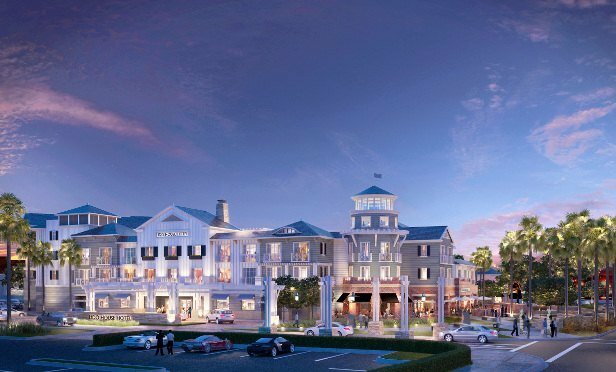 Olson breaks ground today on the 130-room Lido House, a boutique hotel situated on more than 4 acres on the former Newport Beach City Hall site. GlobeSt.com speaks EXCLUSIVELY with developer Robert Olson about the project. NEWPORT BEACH, CA—R.D. Olson Development Co. breaks ground today on the 130-room Lido House, a boutique hotel situated on more than 4 acres on the former Newport Beach City Hall site on the Balboa Peninsula here that will significantly contribute to the Peninsula’s revitalization. Projected to open Summer 2017, the hotel will feature a variety of amenities including a central courtyard and pool area with decked-out cabanas and an adjacent manicured Lido Lawn with communal fire pits, croquet and lawn bowling areas. R.D. Olson has an 85-year lease with the City of Newport Beach to develop and operate the property. which will be situated next to Lido Marina Village, the pedestrian-friendly retail and dining complex currently undergoing a comprehensive renovation. 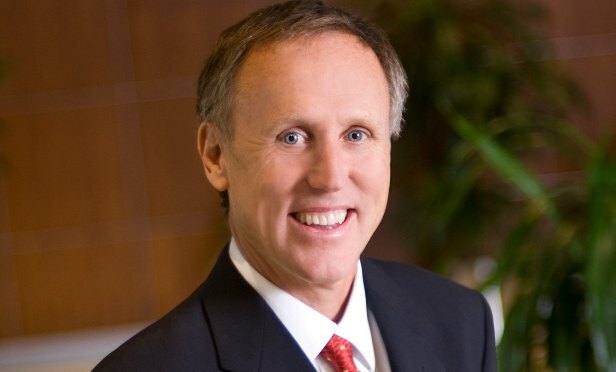 GlobeSt.com spoke exclusively with company founder and president Robert Olson about the project. GlobeSt.com: What does R.D. Olson look for when deciding on a hotel project, and how does Lido House meet those criteria? Olson: We look for a diversity of demand generators, including a desirable location to live, high barriers to entry and corporate and leisure demand. Lido House meets these criteria because Newport Beach is a strong corporate market, an ideal vacation destination and one of the most sought-after places to live. Lido House will be the only boutique hotel on the Peninsula since it is difficult to find sites large enough to support a hotel project. Lido House will be a 130-room, luxury boutique hotel with a locally sourced full-service restaurant, bar and lounge, fitness center and spa and more. GlobeSt.com: Please discuss/describe the hotel and how/why you envision it as a community hub. Olson: Once completed, Lido House will be a 130-room, luxury boutique hotel with a locally sourced full-service restaurant, bar and lounge, fitness center and spa and more. There are five 1,300-square-foot cottages each individually designed by a local high-end residential designer. Our goal for Lido House is to be a destination for connection and camaraderie, as well as a local guesthouse for visiting friends and family. Our hope for the restaurant is it will become a favorite among locals. We want the community to feel included in this project and think of it as a contribution to the city. We plan to be the “curators” of Newport Beach, submersing visitors into the beach lifestyle. GlobeSt.com: Can you discuss the history of the hotel site? Olson: The property was originally developed in 1948 for Newport Beach City Hall and fire station. The Lido House site is where City Hall was located, but the fire station will remain in its current location. Several years ago, City Hall relocated near Fashion Island. We plan to add touches of this area’s history into the hotel as well. GlobeSt.com: How will Lido House play a key role in the area’s renaissance and economic vitality? Olson: The redevelopment of Lido Village will be a great benefit to the economic vitality of the Peninsula and Newport Beach. We believe that Lido House will perfectly complement this rejuvenation and greatly benefit the surrounding area—especially since our guests will get out in the community and shop and dine and play, all driving more revenue to the area, stepping up demand for further improvements. GlobeSt.com: What were the challenges/hurdles in developing this project, and how did you overcome them? Olson: During the RFP process, we were not allowed to communicate directly with the City officials or employees, which allowed us a unique opportunity to engage the community directly to garner support, but more importantly to get direct feedback on a variety of aspects of the project prior to the City decision. During this phase of the process, we met with and presented to more than 20 different associations, business-improvement districts and neighborhood groups and held many public “open house” events. The City of Newport has been great to work with during this entire process.